Q-Tips were an English blue-eyed soul and new wave band, who formed in 1979 from the remnants of 1970s pop outfit Streetband. Streetband had hit the UK charts in 1978 with the novelty song “Toast”, which had become a success as a result of heavy airplay by Kenny Everett. The band was fronted by Paul Young who was to go on to major solo success after leaving Q-Tips. “Toast” was as much a hindrance as a help in the career of Streetband, and they folded soon after it was in the charts, with members Paul Young on vocals, Mick Pearl on bass guitar, and guitarist John Gifford forming Q-Tips. The ex-Streetbanders added new recruits Dave Lathwell on guitar, Ian Kewley on keyboards and Baz Watts on drums. The band wanted to create a soul review format and so added a four piece brass section of Steve Farr (baritone saxophone), Richard Blanchchard (tenor saxophone), Oscar Stuart Blandamer (alto saxophone) and Tony Hughes (trumpet) who all hailed from North London. 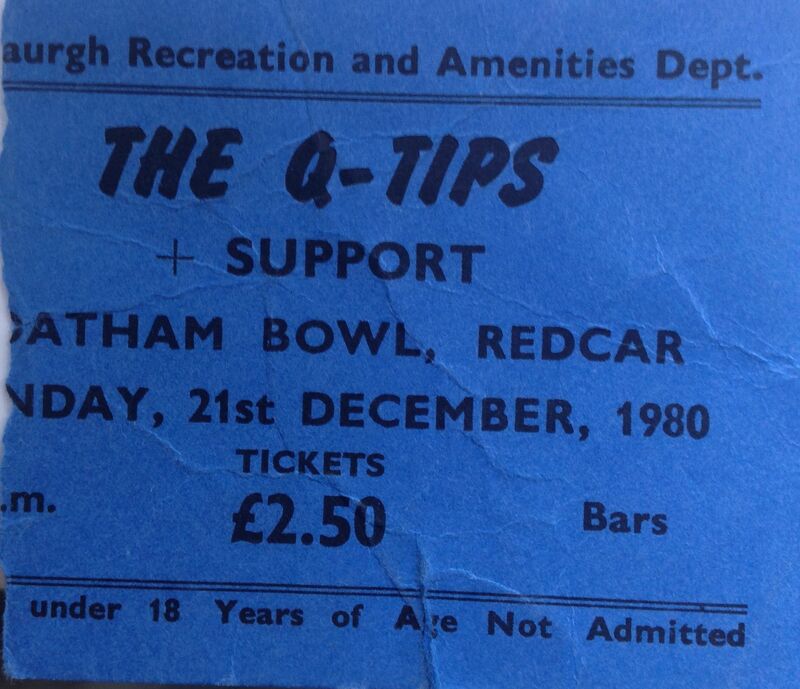 I saw Q-Tips a few times in the late 70s and early 80s including this gig at the great Redcar Bowl, an earlier (and very empty) gig at Middlesbrough Rock Garden, and supporting The Who at Newcastle City Hall during their 1981 tour. The band were great live, all suited and looking the part, with great performance and vocals (as you would expect) from Paul Young; they were very much a full soul revue show. However, they had little commercial success, and folded in 1982 with Paul Young going solo.